How adorable! I want one. 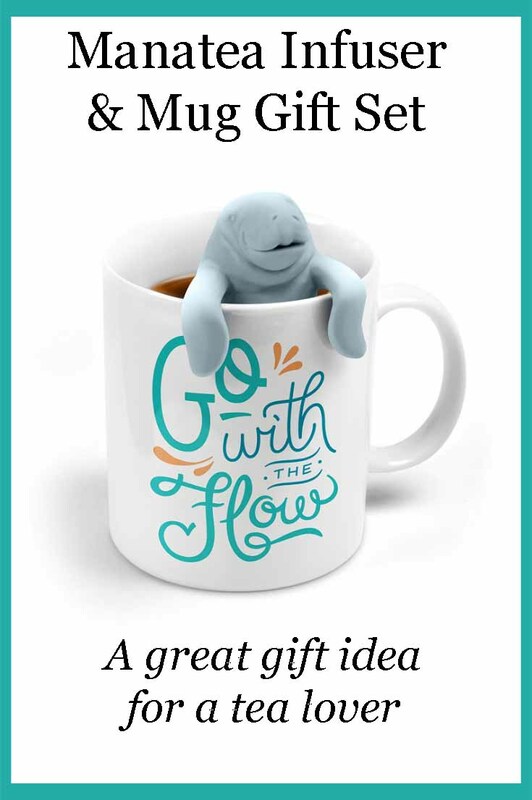 The manaTEA (manatee - very clever play-on-words there) is so cute and goes so well with the saying on the cup. A really fun gift idea for tea drinkers. Thanks for your terrific review. 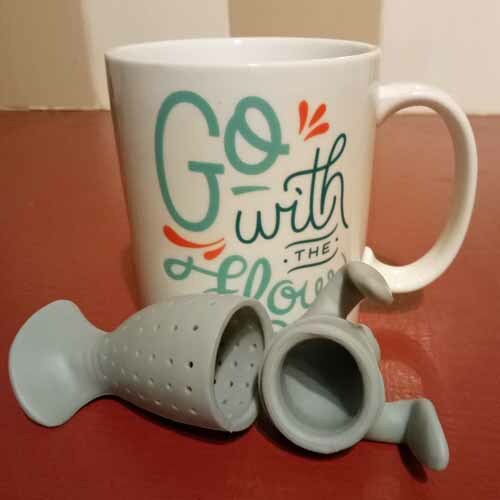 The Manatea infuser is darling! I would try it! Oh, I love that manatee! He is absolutely adorable!!! I had looked at the little guy back at Christmas as a possible gift for our son-in-law. I ended up selecting the Nessie, but he still needs the manatee. Maybe for Christmas next year. 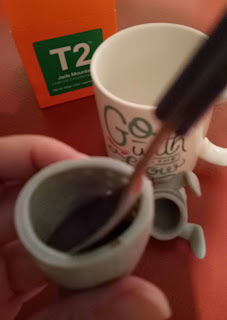 After reading your review, I see I need to get him the mug and infuser set. 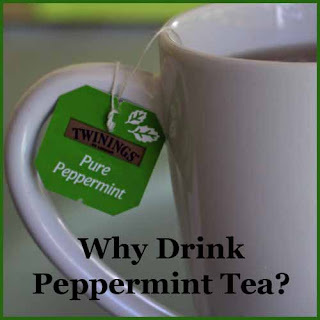 The perfect gift suggestion for tea drinkers who prefer loose leaf tea. Now, this just might be the cutest tea infuser set that I've ever seen! I love the colors in the mug, the swirly font, and the message. 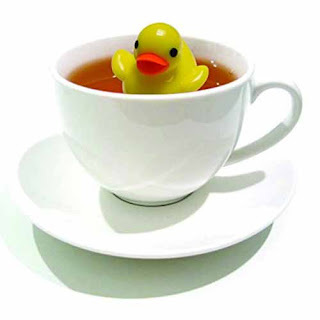 But that little sea creature peeking up out of the tea totally seals the deal. Adorable! Might have to add this to my own wish list! That is adorable. 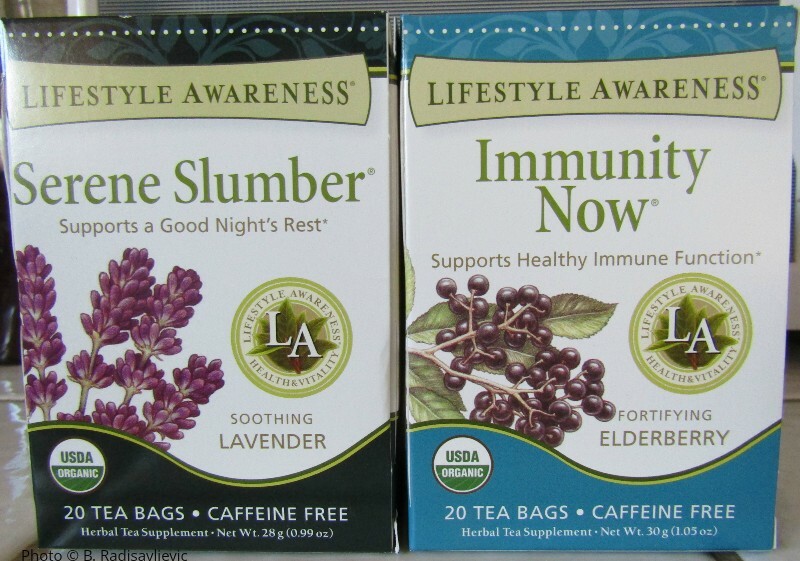 I usually make my tea a pot at a time, but the infusers you have reviewed almost tempt me to try loose tea by the cup.